I read this article and found it very interesting, thought it might be something for you. 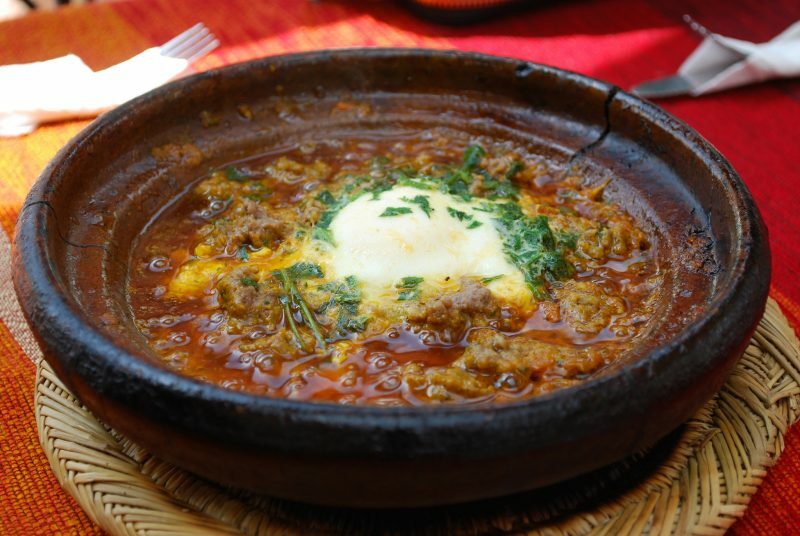 The article is called 15 Restaurants to Go in Morocco and is located at http://trip-n-travel.com/listicle/22618/. Morocco is home to some of the most exotic cuisines in the world. Their gastronomy incorporates a mixture of both local and foreign styles that have made it a renowned destination when it comes to a dining experience. With a wide variety of high-end hotels, this country offers cuisines that will knock you off your feet. Don’t be left behind, discover some exemplary and intriguing restaurants and change your food experience. This is probably one of Morocco’s finest restaurant that is bound to give you an experience of the nation’s new cuisine. Situated in Marrakech, Dar Moha offers some of the best gastronomies with a fusion of Moroccan core flavors. Traditionally a riad, this diner has been converted into one of the most beautiful and pleasant dining spaces in the city. For those who like trying out new things and experiencing something different, Dar Moha will give you just that. They have incorporated innovative cooking styles and techniques to their famous dishes making them renowned in their services. Once you get a taste of their famous preserved lemon or the pastille lobster coriander juice, you will get a craving for all their meals. 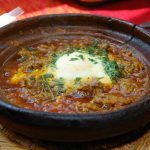 While most restaurants offer exotic foods with a rather complicated set of foreign dishes, Al Fassia can be considered the home of Moroccan dishes. This place has found favor not only in the eyes of tourists but also locals who consider it simple but elegant. This hotel that is entirely run by women offers one of the best meals in Morocco. You do not have to worry about healthy eating at this place. They have a variety of starter salads that can also be taken as a main course meal. A taste of their meals will make you want more of their profound delicacies that have been professionally prepared by a team of dedicated female chefs. If you are looking for an amazing and surreal restaurant that lives up to its name, then Gastro MK in the place you should visit. It has an extensive mixture of both Moroccan and French Cuisines, making it a unique destination. What’s different with this type of cookery? Well, the combination of two styles has emerged as a modern and unique culture that offers an outstanding and surprising menu. They also have a five-course meal that entails items such as pumpkin puree, potato sarladaise and chicken pastilla with almonds, among other amazing dishes. With an endless list of classical dishes, Gastro MK features a variety of meals that provide a whole new experience for diners while guaranteeing total satisfaction. The design of this restaurant is unique, mainly because it’s an elegant rooftop hotel. It has a modern range of Moroccan cuisines with a rather classical dining experience. Their menu is outstanding with an eclectic conditional combination of inventive dishes and traditional tagines. Just a taste of their meals and you will acknowledge that they are good at what they do. In addition to this, they also have a cocktail bar, just in case you wish to have a few drinks after your meal. Nomad has an accommodating and friendly staff with the best customer service. Why wait, try it today. Located in Casablanca, this restaurant offers a variety of Moroccan Cuisines accompanied by some outstanding caterings. If you are looking for a classical, state of the art restaurant that uses traditional Moroccan décor, well this is the place to visit. It has a variety of starters, main courses, and desserts that are complemented by a team of stylish dancers and drum players. Don’t waste your time going to other simple places, visit the Basmane and get the meal of your life. This is practically a present day traditional restaurant that combines styles from the nation’s colonial era with modern trends. It has been designed in a manner that brings a Francophone atmosphere with a twist of retro décor. For those who love contemporary places that have been upgraded from the early 1900s, Le Grand Café De La Poste is your place. The food is definitely something you will remember. Their cookery is multifaceted, with professional chefs who combine French and native flavors to bring an outstanding taste in the meals offered. While you’re there, merry in trying out their astounding grilled sardines alongside the well roasted beef. Dine at this place and get experience first class service and excellent cuisines. Located in Marrakech old town, Le Jardin is an exclusive dining destination that offers a classical range of foods with an outstanding customer service. Moreover, it has a remarkable surrounding that provides a peaceful and splendid atmosphere to all who dine there. Le Jardin is a must visit for those who like a serene environment with ancient Moroccan art decorations. It’s a cultural place that serves not only as a relaxation spot, but also as a center of refinements and extensive menus with meals that you are bound to enjoy. This place will not disappoint you if you love Spanish foods. La Bodega has diverted from the Moroccan cuisines and specialized in providing a cuisine that is entirely based on Spanish gastronomies. With a bar downstairs, it provides a fun area for both locals and travelers. La Bodega is purely Spanish and is, therefore, suitable for those who love their culture. For a place with good meals, drinks, and total fun, this is the place to be. If you thought there are no Japanese restaurants in Morocco, then you are wrong. Sakura is among a few found in the nation. Located in the city of Casablanca, Sakura offers a variety of Asian delicacies such as makis, sashimi, and the famous sushi. You’d be glad to know that there is a live performance by a Japanese group known as Teppan-Yaki. This makes the place more inviting and entertaining. Unlike others, this restaurant has turned the tables around in the food industry. It has a modern setting not forgetting its Japanese setting that makes one of a kind. This place offers an excellent experience for those who are not shy. If you are a fun person who is open to new things, then this is the place to visit. For starters, they have a session where belly dancers entertain the guests. Moreover, there are oriental orchestras who perform rare Arab dances and entertaining acts, bringing to life the entire atmosphere in the restaurant. When it comes to the food, you get to choose your preference from a cluster of traditionally prepared culinary meals. You are bound to get a lifetime cultural experience at Dar Beida. Located in Casablanca, Le Relais de Paris is a haven of foreign delights, mostly French cuisines. Visiting the place is not just about the food, but also its position at the La Corniche Beach region. This restaurant is special because people get to taste French foods as they enjoy the beautiful scenery of the ocean. Not only does it has a comfortable setting, but this destination also houses some well-refined styles with enticing flavors on their menu. There’s practically every type of meal on their menu so you can be assured you’ll like the place. [ #Resto & #Food] On a testé pour vous le #restaurant Riad 21 à #Casablanca ! If you have a love for traditional places, then you should consider visiting Le Riad. Its setting and style of presentation does not attract many people, but the few who have tried it always go back to get a taste of their delicious food. It has a friendly environment, a distinctive dining experience and enjoyable meals that always ensure customer satisfaction. They are explicitly simple in everything they offer, but their menus are always pleasing. You can find meat dishes, omelets fish among other delicacies at Le Riad. Its environment is homely making it a suitable place to take your friends and family. You might probably know this place from the famous 1942 film Casablanca. It has an old-fashioned design that is basically a courtyard-style mansion. It was initially built amongst old medina’s walls. Rick’s café is simple with a piano bar from the film. It offers an entirely unique atmosphere considering the fact that it has an intimate private dining area, four fireplaces and a good view of a nearby fishing port. It has an international menu that consists of foods prepared from Casablanca’s vegetables and sea foods. Port de Pêche is located at the center of the largest fishing harbor in North Africa. This means that it is the most lustrous venue when it gets to matters pertaining sea food. If you love such meals, well this is the place for you. Its meals are always fresh meaning that visitors get to eat fish and other sea foods straight from the sea. With its renowned paella, this restaurant uses an old décor of fishing nets as curtains to create a blissful sea environment. Their services are swift and professional making it a worthy destination in Morocco. This restaurant is located in the luxurious Sofitel hotel and houses some of the tastiest meals in Morocco. It is a unique place, mainly because its dishes are inspired by a style known as bistronomy. For those who do not know, this is a technique that combines conviviality, pleasure, and gastronomy as an art of offering services. Customers get to taste their French-inspired cuisines while enjoying the restaurant’s elegant setting. Its glass roof creates a magnificent and spectacular atmosphere to all who dine there.